"We gave unto Moses the Scripture, and We appointed it a guidance for the children of Israel, saying: Choose no guardian beside Me. (They were) the seed of those whom We carried (in the ship) along with Noah. Lo! he was a grateful slave." 17:2-3 Surah Al-Isra (also known as Surah Bani Israel). So this means the Hebrews were the descendants of Prophet Noah. Could this also imply that Prophet Noah or some of his people lived in Egypt? It might imply that they lived in Egypt but not necessarily. Again only Allah knows best. If you concentrate on V.17:3, it refers to the Hebrews as the descendants of the followers of Prophet Noah ("the seed of those whom We carried along with Noah."). The period of Prophet Noah precedes the era of Prophet Abraham, which again precedes the period of Prophet Moses. So as anyone would observe, the accuracies of a time so much prior to recorded history can only be known to Allah and none else. We can only guess. Maybe Prophet Noah lived in the region (later called) Egypt before he set sail with his followers at the commandment of Allah. Or, it may connote that the ship in which Prophet Noah and his people sailed began its voyage from some other place and moored in some region close to Egypt or in Egypt. The Noble Quran says that the ship stopped at Mount Judi. Al-Judi (الجودي) is referred to in Verse 11:44 Surah Hud. "And it was said, "O earth, swallow your water, and O sky, withhold [your rain]." And the water subsided, and the matter was accomplished, and the ship came to rest on the [mountain of] Judiyy. And it was said, "Away with the wrongdoing people." According to Jedeo-Christian tradition, Mount Judi was located somewhere in the Turkish-Armenian region. But the Noble Quran does not give any reasons to presume that. We are looking at a period more than 5,000 years in the past. It's likely that the name 'Mount Judiyy' might have been given to a hill or a mount somewhere in northern Egypt along the Mediterranean strip or somewhere in the Sinai region, a place which is full of rocky mounts. That's very possible too. Only Allah would know, we don't, and the Judeo-Christian traditions are anything but dependable. Thus, while it's confirmed that the followers of Prophet Noah who believed and accepted his Message where the ancestors of the Hebrews, whether or not all those ancestors lived in Egypt or whether their descendants (the Hebrews) at some point came to live in Egypt from some other place where their ancestors lived is not known to us. Only Allah can confirm that. 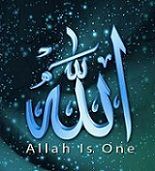 Secondly we can also confirm that Allah Almighty is instructing the Hebrews that since they are the descendants of Prophet Noah and his companions, therefore it's the responsibility of the Hebrews to establish righteous conduct as believers so that they can be viewed as exemplary descendants of honorable and upright ancestors who submitted to Allah alone. Walaykum Salam and many thanks my brother. This is exactly what I wanted to know. Allah bless.